Don’t you just wish that at times, you had people doing things on your behalf? This is especially so when you’re busy with work, school or other important matters. Well, now it looks like your wishes can soon come true! 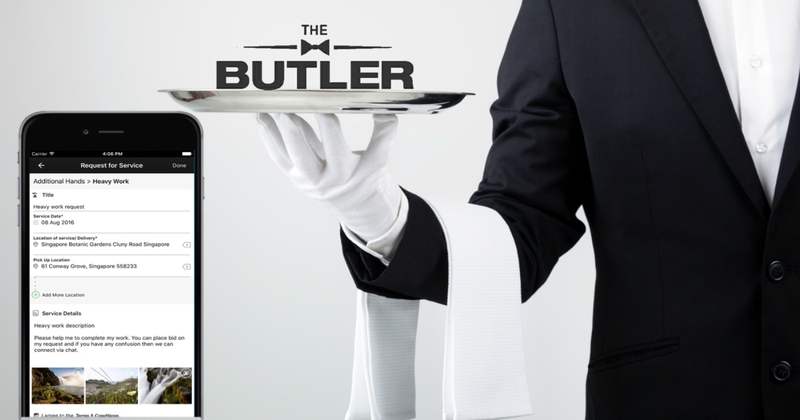 The Butler, a Singaporean online concierge service is here to serve at your demands. 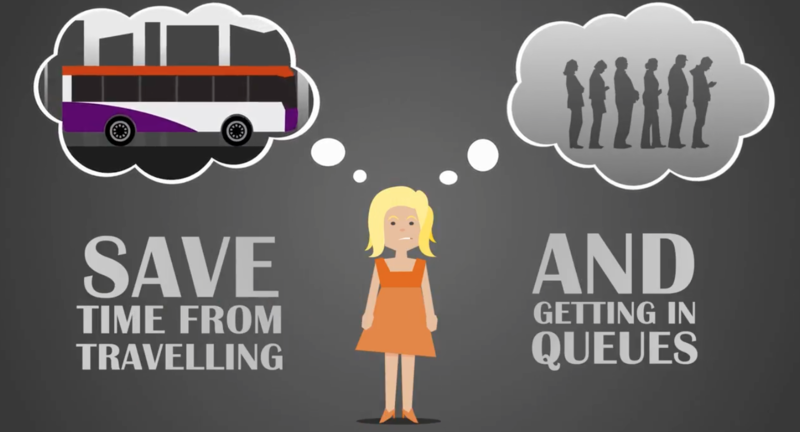 The Butler works as a platform for clients who want to get their errands done by someone else; and for butlers who want to earn a little extra cash by doing up these few errands and getting paid for them. With an aim to be a one-stop app for all concierge services, The Butler has a wide range of job categories for clients to choose from, and on the other end for butlers to specifically choose the jobs that they want to do. The Butler also has appointment setting categories, where if clients need a professional service such as Legal, Insurance or Property, they can put in a request and registered professionals will reach out to them to have a meeting. “As our tag line goes: ‘All you need is The Butler’,” says Nicholas Gabriel, creator of The Butler. So how does The Butler work then? Simple – clients put up errands they need to get done, of which butlers will bid for. 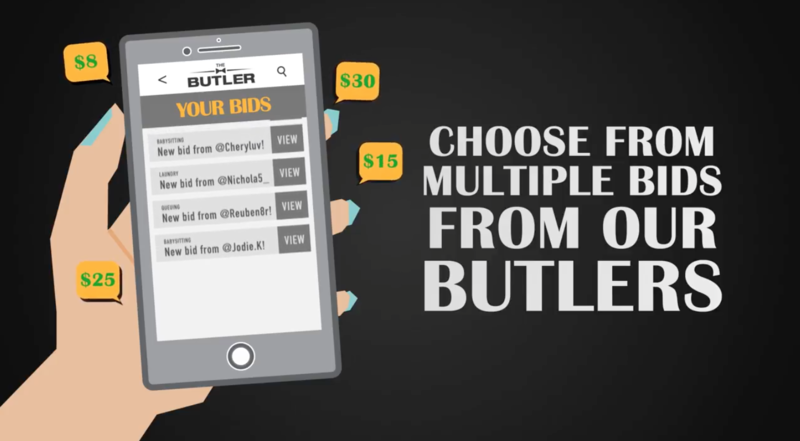 Clients then select their preferred bid and communicate with the butler via text to settle minor details. Payment is made through the app itself, once the errand is completed. Nicholas asserts that The Butler app will eventually be the only service app that people will need on their mobile phones. He explains that idea behind The Butler came about in late 2015, and after he kept hearing more and more people making comments about wanting someone to help them run their personal errands. “I decided to do something about it and make it happen. In March 2016, I teamed up with an app development company who were able to understand my ideas and vision for the app, and built the app accordingly,” he says. The app is currently available on the Apple Store and Google Play store. With a team of only two at the moment – Nicholas and his wife – raising capital to hire more staff has been one of the more prominent challenging problems he is currently facing. Marketing the app to gain a wider traction is also a complication he faces. When asked what his initial dilemmas were, Nicholas says it was the development of the app. “I also had to use the app myself to realise the bugs and limitations of the design, and work on improving things even after the launch, because there are only so many things we think we can predict during the development stage. Whereas some of the other things only become apparent when you start using the app,” he says. Nicholas reveals that when it comes to the type of requests The Butler’s team delivers on, there are no limitations. “No request is too weird for us! That’s the very point of our service, to get someone to attend to any personal errand that needs to be done so long as its not illegal or impossible,” he says. The Butler’s requests have included buying chicken from a supermarket, a box of donuts for a home party, tampons for a working woman, replicating a favourite dress design, arranging a pet sitter and setting up an appointment with a lawyer to prepare a will. 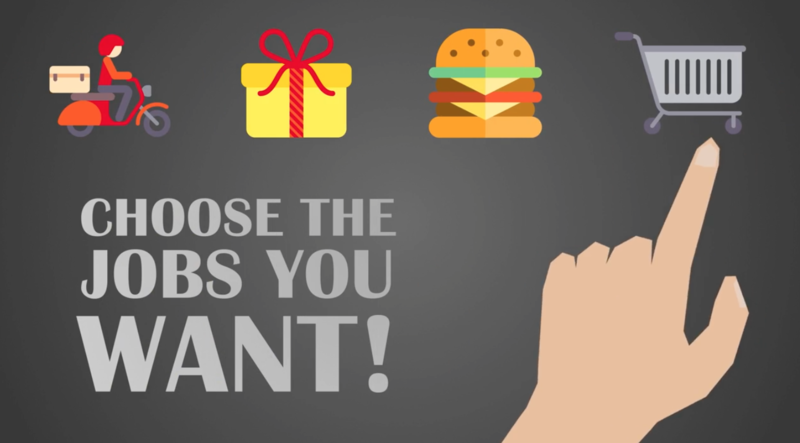 Food-related requests are most common at the moment, but it has a very broad range of categories in which people can make requests. Other than not discriminating between butler requests, The Butler also doesn’t discriminate between their employees. “We constantly say anyone can be a butler because it’s true. Our butlers range from students, freelancers, stay home parents, small businesses and even corporate employees who want to earn a bit more income through ad hoc jobs,” he says. Nicholas explains that one of the special factors of their service is that they try to connect freelance home based businesses to the public, such as home bakers and tailors and babysitters. Reason being, they don’t require the butlers to be established businesses as it allows more home-based businesses to reach out to a wider client base. The Butler has specialist butlers for a few categories. For the legal and insurance categories, the app facilitates the setting up of an appointment with a licensed professional and it has a few professional partners who then follow up with the appointments. For vehicle-related services, it has a specialist valet team who are experienced car handlers and have the appropriate insurance coverage. Aside from these few categories, anyone can be a butler. However, as The Butler is only a platform to facilitate transactions, it does not oversee the quality of the services and Nicholas urges clients to do their own checks on their butlers and services received. 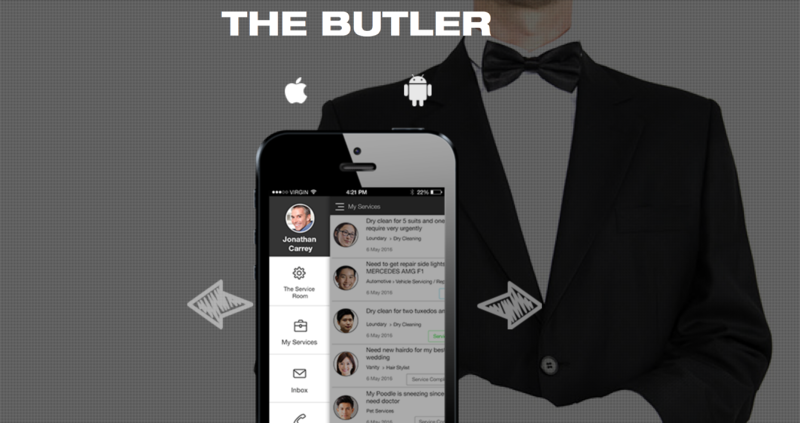 The Butler is solving more than one problem with their app. It solves the main issue with people needing help in running errands, but it also creates jobs by allowing anyone to be a butler.